The Chinatown Service Center (CSC) was founded in 1977 by the Chinese Community Church of Washington, DC to provide essential social and human services to the Asian immigrant community in the Washington DC Metropolitan area. Social service assistance was always part of the Chinese Community Church mission and it recognized a need to provide weekday services in the heart of Chinatown to recently arrived Asian immigrants living in and around Chinatown. In 1977, the Chinese Consolidated Benevolent Association kindly agreed to let the church use its office building as a base for Service Center activities. In 1980 CSC moved to the church premises at L Street, NW and in 1994 to Massachusetts Avenue, NW. CSC is now located in its present location since 2006. CSC serves as a hub for the community, offering integrated services tailored to the needs of Asian immigrant individuals, families, seniors, and youths, many of whom lack English proficiency. By providing the necessary assistance to improve their daily living, the newly-arrived immigrants are better able to assimilate and become good, productive citizens. Shirley serves as its current Director. 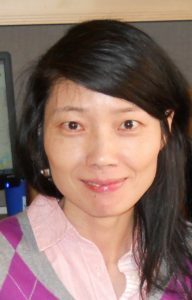 She has been involved with community service work for over 15 years at the Chinese Community Church. She and her husband Walter became involved by helping with the tutoring program. Shirley was born in the District, attended DC public schools, and graduated from the University of Maryland. She and her family lived in the back of their laundry. 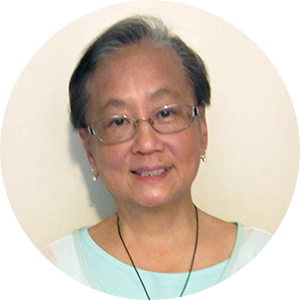 As a child of Chinese immigrants, she identifies with the struggles immigrants have and their stories inspires and motivates her work with CSC. Michelle Yi is the new CSC coordinator who provides daily intake work during the weekdays. Michelle graduated from the Hong Kong Baptist University with an MBA degree, and she also earned a certification in Public Relations from the University of Virginia in 2015. She lives in Centerville, VA with her family. Michelle helps CSC clients in many ways, including making appointments, filling out forms, calling USCIS to check on immigration status, and referring clients to legal service agencies. Clients know they can count on Michelle to receive help in adjusting to life in America. Mei-Ye is the chair of the community services committee of the Chinese Community Church. All three are members of the committee. All are from immigrant backgrounds and learned English as a second language enabling them to become professionals in their respective field of study such as pharmacy and education. Members of the committee are known in the Chinese community for their long years of service and understand the needs of the community.